What we learned from the third round of the Rugby Championship, according to CRAIG LEWIS. Seven Tests, four defeats and a clash against the peerless All Blacks to come. This is where the Boks stand a few games into the Rassie Erasmus era, and increasingly there are more questions than answers about where this team is heading. Back-to-back losses against Argentina and the Wallabies have ramped up the pressure, which will only increase further should the Springboks slip to an expected defeat in Wellington this Saturday. 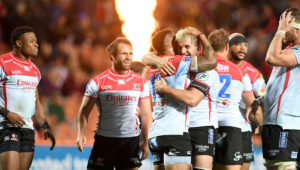 The Boks were haunted by basic errors in Brisbane, while the lack of all-round accuracy to their play after some time together as a squad will be a real cause for concern. The character of this team, and indeed the enduring belief of the coaching staff in their plan, is now set to come further under the spotlight. The decision to yank Bongi Mbonambi from play five minutes before half-time caused a social media storm on Saturday. 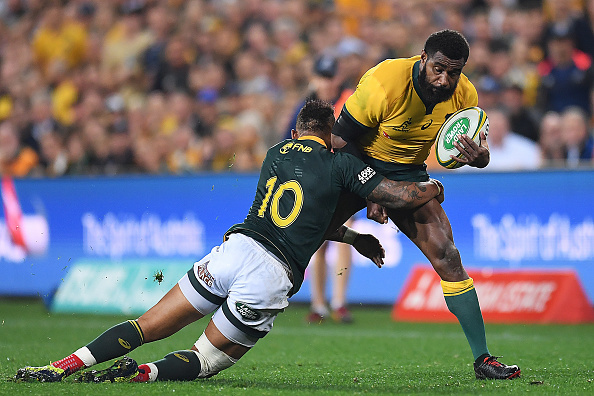 It came soon after a mix-up at the lineout that saw the Wallabies pounce on an overthrown ball from Mbonambi to score a crucial try. It appeared that Mbonambi had been made the scapegoat for the blunder when he was surprisingly substituted just before the first-half had run its course. However, Erasmus sought to insist that the substitution was made purely because the 27-year-old was running out of steam and struggling to keep pace with the game. It’s all a bit confusing considering Mbonambi started the first two Tests against England in June, and there never appeared to be concerns over his match fitness to push through at least one half of rugby. One can only hope that communication with the player is clear to ensure that his confidence doesn’t take a serious knock. Part of the Boks’ plan this year has been to build squad depth ahead of the World Cup, which is now just over a year away. As a result, Erasmus has sought to make some bold selections, while rotating certain players in and out of position as he looks to test out different combinations. However, the Bok coach has made no secret of the fact that establishing a winning brand of rugby is also the top priority. Unfortunately, a lack of continuity does seem to be afflicting the Springboks’ fluency of play, with Saturday’s defeat to the Wallabies exposing a number of persistent shortcomings. One way or another, Erasmus needs to start settling on a preferred starting XV, and to allow for some continuity and cohesion to build. There was plenty of talk in the build-up to Saturday’s match about the decision to start Elton Jantjies ahead of Handré Pollard against Australia. Although it was an utterly forgettable match from the Boks, due credit should go to Jantjies, who enjoyed a solid outing in wet-weather conditions that again hardly suited him. 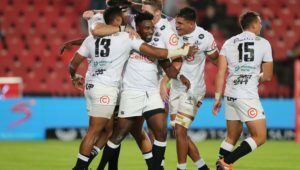 Erasmus has said the plans around the management of Pollard and Jantjies had been arranged before the start of the competition, and so it will be interesting to see whether the latter retains the No 10 jersey for the upcoming clash against the All Blacks. Pollard may well be in line to then start the two home Tests in Port Elizabeth and Pretoria, but Jantjies has demonstrated the character he possesses, and remains very much in the mix going forward. The All Blacks made a host of changes for their clash against Argentina in Nelson, and then saw a couple of key players leave the field early on with injury. 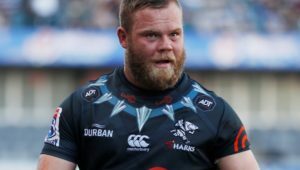 The disruptions did appear to play a part in what was a rather sub-par performance from the reigning champs, but they still managed to surge to a comfortable 46-24 bonus-point win in the end. 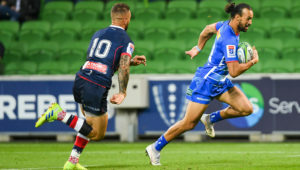 Most of the fringe players who were given an opportunity made a positive impression, with flanker Shannon Frizell especially producing a standout performance. It was yet another reminder of just how far ahead the All Blacks are in terms of depth and adaptability, while they remain well on track for another title.